More women and girls are forcibly displaced today than ever before—an estimated 32 million worldwide. Many are still on the move. They have the same basic needs as women and girls around the world, including the need for access to contraception, a safe place to deliver their babies, care and support in the aftermath of sexual violence. Forced from home, they face significantly greater health challenges. 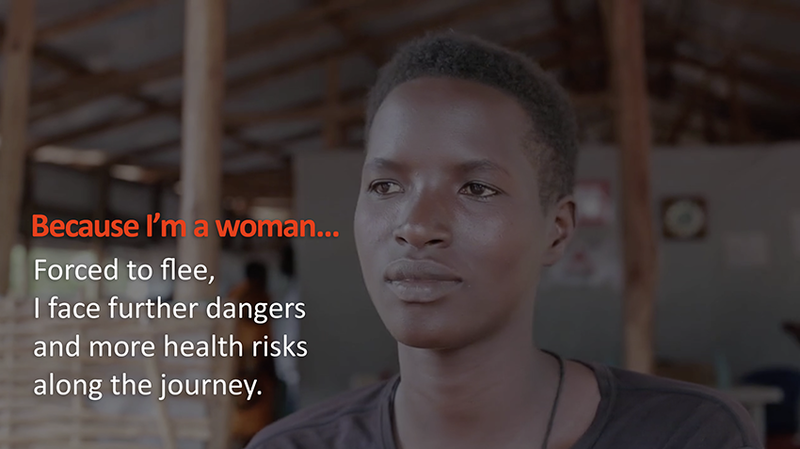 To mark International Women’s Day on March 8, Doctors Without Borders/Médecins Sans Frontières (MSF) is featuring stories of displaced women and girls from places including Syria, Myanmar, Burundi, and Nigeria. Across the spectrum of their journeys, displaced women and girls urgently need care in five key areas: obstetric care, family planning, safe abortion care, sexual violence care, and mental health care. Only then can they have the chance to reduce the ongoing risk of sickness, suffering, and death in the course of their search for safety.